any other info that may be helpful: I run a rescue but can transport dogs usually over the south of England. I also go to Ireland and can also transport dogs back from Ireland to England for any rescue/individual should they need it. What you can help with: Homechecks, Transport, Training & Socialisation. any other info that may be helpful: I work from home so can be available at short notice...very experienced with GSD's. any other info that may be helpful: I can do transport around the Berkshire area. I have not done a homecheck before, but with some notes on what to do, I am happy to help with these too. any other info that may be helpful: ALWAYS ASK I WILL TRY MY BEST. Animals you have experiance with: Mostly Dogs, particularly greyhounds, Cats. What you can help with: Homechecks, transport runs. Happy to go outside area. Ask, and I will do what I can. 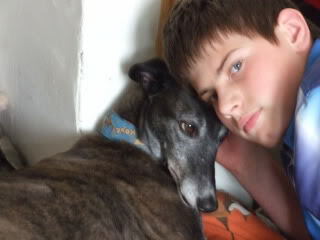 any other info that may be helpful: I was a senior homing assistant for Greyhound4U, foster carer, transport runs also. No longer with G4U so have some free time. I Have had dog experience for over 30 years. Have had mongrels, Rottie, GSD, now have 3 greyhounds. And several cats, and birds. What you can help with: Transporting, Caring, Home Checks and General Help. any other info that may be helpful: Experience with Large Breeds of Dogs, I feel so Comfortable around all Animals, And i am a very Hands On type person with so much Enthusiasm for the Welfare and Protection of all Animal Types. Animals are my Passion and i feel i have all the right qualities and drive to be part of a Successful Rescue Team.